Become astronaut at the first space museum in Thailand. Enjoy the photography. Wearing a astronaut costume Try to practice before going out. Watch the pilot’s life. Space exploration 3D virtual reality in space Inspire the universe. 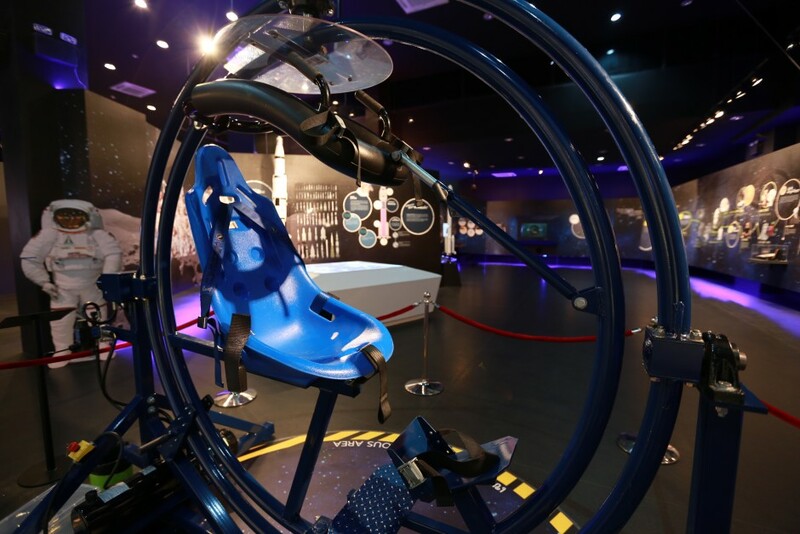 Space Inspirium is located at Sriracha, Chonburi. Coordinates 13 06 09.3 N 100 55 49.6 E or use Google Map by key Space Inspirium and press Search. “You are not alone in the Universe” from questions to answers. Space Inspirium The Universe of Inspiration The first and only space in Thailand. A land where visitors will be aware of the universe. The inspiration to live. There are 13 zones in each zone are different. Learn where the world comes from. And who are we in the Milky Way galaxy? Pass the asteroid. And come to that answer. “Why do not we float out of this world?” And why does the world have such a thing? Inspired by the surroundings. Learn through time. The process of thinking in a variety of ways. From imagination to great invention. Enjoy the mission of sending spacecraft and satellites into orbit in the Space Mission Game. Preparation for space What factors to consider in going out to the world? When out of the world. How does the body react with gravity? Gyroscope experiments to simulate the anti-gravity training of astronauts. Living Research Being in the ISS (International Space Station: ISS) and try the mission with astronaut gloves. Enjoy 3D movies that will guide you through the vast universe through stars. Get acquainted with satellite types and orbits. How to create a satellite Have fun with the mission Mars. Excited with the big world with satellite orbit. “Thai Hom Mali Satellite” is Thailand’s first satellite resource. On Wednesday, October 1, 2008, the station was in Sriracha, Chonburi. Introduction of geo-information technology in everyday life. The emphasis is on the subject. Learn how the data acquisition process. We do not have to explore ourselves. Enjoy the Tracking Game, which assumes the player assumes the role of city clerk. Will the team solve the problem with any route? The information is abundant. What processes must be followed? It will come out as a map. Zone 11 GISTDA My House: Travel around the world in 1 minute. Applications in various fields. Natural and Environmental Utilization Agriculture Town Planning and Protection Enhance understanding through the game of building cities. Games, guides, farmers, etc. Zone 13 Applications for Tomorrow: Inspiration is created from anywhere around us in 360 degrees. Take a photo of the camera “Bearing the world” is a photo shoot. Inside the space museum, tourists like it. Each time There are activities. To rotate each other such activities wearing astronauts. (With photo and photo frames) make a key astronaut. Take a photo “Astronaut” and send photos to facebook. Children up to 120 cm height / monks, novices, disabled / elderly 60 years old.